This month has been good, but it has also been bad. More than anything, it's been extremely busy, though. Too much school work, no spare time. Which is why I haven't been watching that many movies. And unfortunately, writer's block came for another harsh visit. -Best Rating System - Hehe, you like my The Room rating then? I totally think that Random Ramblings of a Demented Doorknob should take this, since poor old Nick can't get Best Blog Name any more. Also in contention is Go See Talk, French Toast Sunday and 3 Guys 1 Movie. -Best Awards/Festival Coverage - I really appreciate that my little Annual Awards Nerdism was remembered here, but it's nothing compared with Never Too Early Movie Predictions, The Matinee, Bonjour Tristesse or Big Thoughts from a Small Mind. -Best Running Feature - Again, I really appreciate that a few of you thought of A Conversation With... in this one (and sorry it's taking the week off). Duke & The Movies' Battle of the Directors, Fogs Movie Reviews' Movies that Everyone Should See, True Classics' Pioneers of Animation and my personal favourite Rachel Reel Reviews' Saturday Sims Screenshots all provide tough competition. -Best Design - Wow, I'm really glad I spent one whole Friday at home to reinvent my blog, because not only am I really happy about it, a lot of other people are too. I really don't stand a chance against the widgety ones from The Matinee, French Toast Sunday and Man I Love Films. And I especially don't stand a chance against Sati's amazing Cinematic Corner. Seriously, vote for her. -Best Blog - I don't care if I don't get any votes in this category, I'm just happy to be nominated. I mean, I realise that I'm the Extremely Loud and Incredibly Close of the race, but I'm totally cool with that. Man I Love Films, The Matinee, Anomalous Material, Fogs' Movie Reviews, FlixChatter and The Droid You're Looking For are all great sites, and all very worthy of winning this award. Tyrannosaur - Despite my pleading, my father wouldn't order this for Blockbuster. Which is a shame. Then again, we are the shop that is only getting one copy of The Artist. Someone send me funding so I can pay for an extra three copies? I can't seem to convince anyone that it won Best Picture. 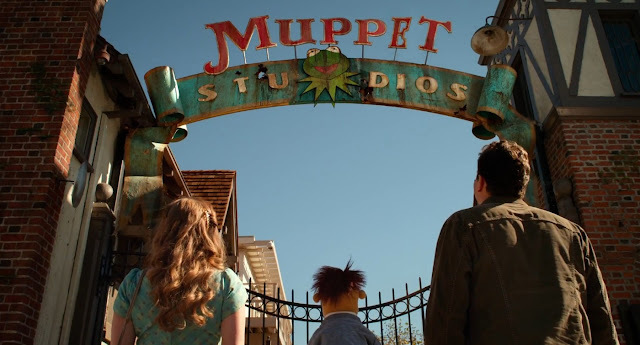 We Bought a Zoo - This was kinda cute, but it was too long and the music wasn't so great. What the hell was up with Elle Fanning? She was nuts in that movie! Dead Man Walking - I don't know why, but Sean Penn makes me uneasy. Amelie - Yeah yeah yeah, I only just saw it. I liked it a lot. Such whimsy. Amelie has just about the same outlook on life as I do. Children of Men - This movie was bloody brilliant. In fact, I just can't believe that there was a movie like this was made so recently. Restless - This movie gave me such grief. I tried to watch it on my laptop before I watched War Horse, but it wouldn't work. So then we just watched War Horse, which ran on quite late. So I tried to watch it in my bedroom, but it wouldn't work. After all that, it worked in the lounge...but I didn't enjoy it very much. Sherlock Holmes: A Game of Shadows - Too much slow-mo. Too long. My dog was far more interesting. The Hunter - Surprisingly entertaining, for an Australian film. Willem Dafoe is another guy who makes me uneasy. Cleo from 5 to 7 - Yeah, this is the kind of movie I watch on a Friday night while everyone's out partying. I loved it. Plan to review it next week. Heathers - I will not let go of my campaign to get Winona Ryder a good comeback. 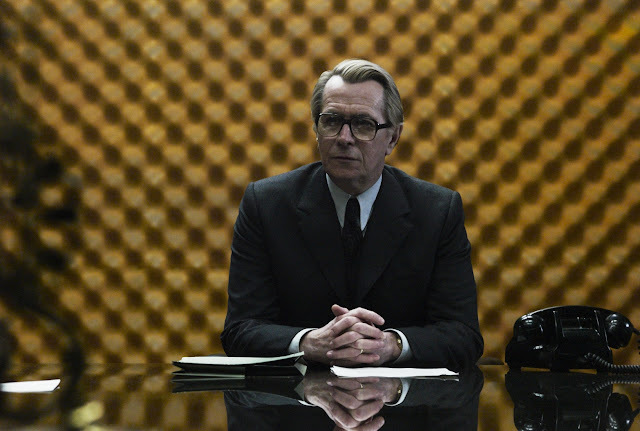 Tinker Tailor Soldier Spy - People keep asking me about this movie, for some odd reason. And then I just go crazy about how complicated it is. Anyway, I really like the poster I have of it by my bed now. Leon: The Professional - It was funny seeing Gary Oldman play a quiet good guy and then a weird bad guy in the same week. What an actor. The Artist - Ha, it finally came to the local cinemas last week. It'll be out on DVD next week. Again...someone please send me funding so more people in Dannevirke can see it? One Flew Over the Cuckoo's Nest - Yes, I saw this for the first time this month, too. Wow, Jack Nicholson is quite an actor. Dolphin Tale - This reminded me of the really bad movies that were on at midday when I was a kid. Which dragged it down for me. While we're at it, why was this in 3D? Journey 2: The Mysterious Island - Ummmm, yeah. You know it was a bad month when I watched this. Mr. Nice - Just to see my darling Christian McKay. He was in it for about 20 minutes. YES. It was quite a good movie, too. Rhys Ifans rocks. Pina - I like dancing, but this was a strange movie. I guess it is quite interesting seeing 'experimental' movies. Young Adult - The more I think about this film, the more I like it. Charlize Theron is awesome. Me and Orson Welles - I'm gonna keep beating the Christian McKay drum until we can make a band (hahaha). War Horse - I LOVE THIS MOVIE. I need to get a T-shirt screaming that out to the world. The Muppets - Going to watch this again tonight with my friends. So excited. I'm gonna sing along to all the songs. Hugo - Can't say this held up too well on a rewatch, but Helen McCrory was awesome in this. The Girl with the Dragon Tattoo - After watching this again I can't stop listening to the soundtrack. Has everyone seen the packaging for this DVD? Isn't it the awesomest thing ever?! The Descendants - I admit to liking it a little more this time round, but I don't understand why everyone loves it. Plus, Shailene Woodley and Judy Greer were a million times better than George Clooney. Just saying. What about you? Seen anything good this month? Congratulations on the noms!!!! Woowoo!!!!! And yeah, I do. It's pretty. Finally I have some Mark Strong on my wall! Great movie selection this month, Stevee! Haha, 'so jelly' made my day too! Children of Men is ahmazing. I have been thinking about rewatching it for a while now. Maybe this will give me incentive. Also it's not that shocking to see Gary Oldman to play a good and a bad guy within one week because he is such an uhmazing actor. Also I hope you would like the old Straw Dogs, though I don't know how much of an impact it will make now. I have been campaigning for a Winona Ryder comeback for like the past 7-8 years. Doubly so when they cast her to play Spock's friggin mother! I'm gonna have to buy Choldren of Men so I can see it again. I really need to. Hmmm, it'll be interesting to see how Straw Dogs sits with me now. And yes! Winona Ryder needs a comeback! Congratulations on all the noms! Well deserved! What a fantastic bunch of nominations you got. Huge grats! You're really the wonder kid of lamb! Thanks! And 'wonder kid'? I like it! As Sally Field would say, "We like you, We really like you!" Great job all around! Haha, you did a great job too! Can't wait to lose to you! Congrats on the nominations! It looks like you had a great month of movie watching, too. Amelie, Leon and One Flew Over the Cuckoo's Nest are all personal favorites of mine. Thanks! Those are all great films, too. Congrats on all the nominations! They are very well deserved, and I hope you win at least two or three of them. Cinematic Paradox is and will always be one of my favourite blogs. As for the May line-up, you saw some fantastic films. I’m still radiating with happiness because you saw Cleo from 5 to 7. Keep an eye out for my review next week. Hopefully it doesn't disappoint. And congrats on all your noms! Haha, you're so gonna win. I'm mega pissed that your podcast wasn't nominated! Congratulations! You deserve all of those nominations and it would not surprise me if you won most of them too. It would surprise me, but thank you for your faith in me! 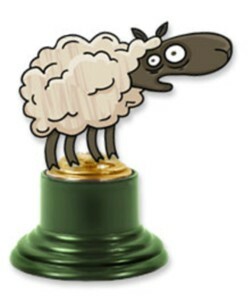 Congrats on all your Lammy nominations Stevee. You are doing an amazing job with your blog, keep it up! I know, I should have seen it ages ago! I really enjoyed it. And thank you. I still can't get over the fact that I'm in the same category as you! I'm still underage ;) It is an R18 here, so I technically can't see it for another year and two months! I know you are going to do The Artist on us and sweep the board for Lammy Wins!! Haha, no. I'm the Extremely Loud and Incredibly Close of the race, remember? So kind of you Stevee to mention my design! Congrats for all your noms, that is quite an achievement! I'm so glad you liked Young Adult, Theron is indeed great. Also I really hope you'll review Amelie. That's because your design is the best. Thanks! And I might review Amelie in the future...but I don't know. Congrats on your Lammy nominations, Stevee - totally deserved. And Young Adult is an excellent film. Definitely surprised me, in a really good way. And it surprised me, too. I hadn't seen that much love for it, so I was happy when I loved it. You run a very solid site here and I'm baffled that this design change took you ONE friday at home from school, its very impressive. Haha, no campaign artwork yet. Hopefully a mention at assembly, though. And yeah, it only took me a day. Mind you, I tweak it every now and again! WOW, congratulations for the Lammy Nominations! Your blog truly rocks! Of your films I've only seen Amelie (sweet but not as good as expected), Children of Men (obviously awesome) and The Girl With the Dragon Tatoo. Was considering to watch Pina, but it sounded so strange. Young Adult sounds good! Pina is a little strange. If you like dancing, then it might interest you. And Young Adult is really good!